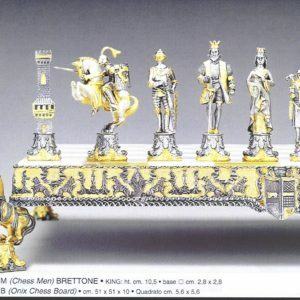 Benzoni Luxury chess set, board, chessmen, tables chairs. 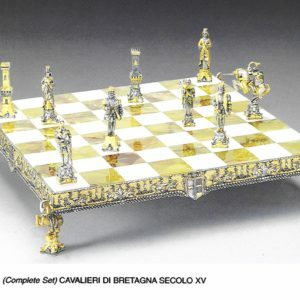 The best Italian chess sets handmade by the great Italian Sculptor Piero Benzoni. 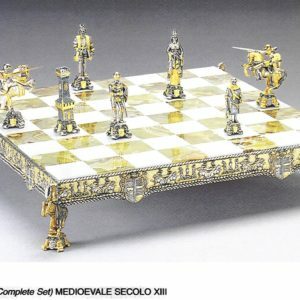 All chess sets are gold and silver finished, with Onyx, and marble. 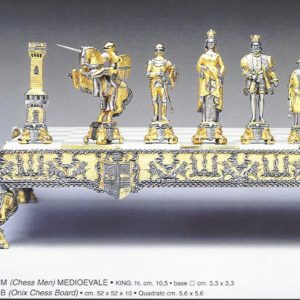 No other chess set is so beautiful, so precious and perfect. Completely Made in Italy. 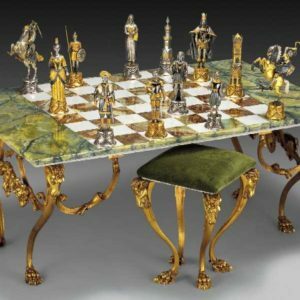 Each set is a high quality and luxury set, each piece is signed and completely created by the expert hand of a famous artisan. 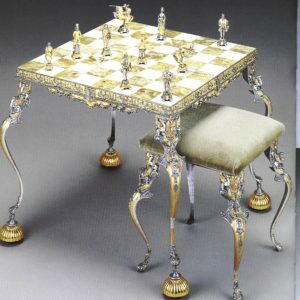 The excellence of a piece of art, a great game for great players, the pleasure of the best. 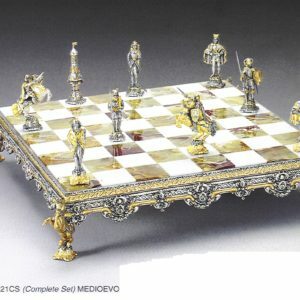 If you are looking for the Best, for the excellence, for exclusive chess set, here is your store.